Verified Profiles and Names in Social Networks are kind of Internet achievement to many users. Here are some information that might be helpful. First thing is that, I am at the time of writing do not hold a verified name but I am a Verified Author – I wrote a lot about that, it is not very common thing at all. You can read them – Google Authorship Search and tbs and ppl_ids and Personalized Google Authorship Confirmation Email. You can click this link to see that search result about Dr. Abhishek Ghosh. I have used anonymize url so that you can view a splash screen with the full url for few seconds before you land to Google’s search result. People usually ask a lot about Verified Profiles and Names, you can read about Optimizing Name in Google Search For Professionals and Famous Persons in this case. If your target is to get a special looking search result, then your way is different and easily achievable. I am going to that part later. First solve this Craziness for Verified Profiles and Names in Social Networks. It is a craziness, often people offers money via contact us email or social networks -“How much is your fees for it…”. Well, if I knew then I would apply on me first ! No, it can not be applied right now on me. That is why I am writing. May be you are reading this article, suppose after 1-2 years, when Google for example, has verified my name. It really does not matter at least to me. But these are the things I found, which might make you happy. Matt Mullenweg has Verified Twitter Profile. When he got the badge, if my memory do not betray, he had 40K followers, at the time of writing he has 58K followers. He is not alone, there are many who has lesser followers than him with a blue verified badge. None of them have ‘circumvented’ or used some kind of Black Hat. Indeed, I personally noticed that Tim Cook got a kind of astonished after noticing it, I noticed that a week before him ! Both of them are IMPORTANT. This is the keyword. So, target to become an important contributor of the society first – be you are an actress, singer or blogger. There is no other of ‘faking’ somehow. These are manually checked. My profiles do not have the needed informative links where from they can be 100% sure that I need a verified name. 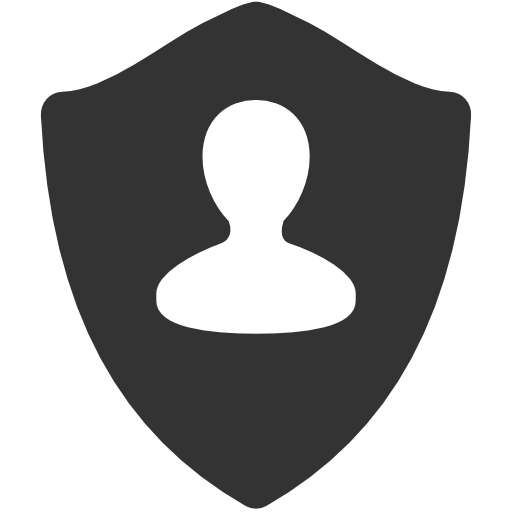 Verified Profiles and Names in Social Networks are for prevention of fake accounts. If I, for example create a fake account of Tim Cook with all of his data and write a post on Google Plus attacking a renowned person, there is enough chance of starting of a Troll. There are many examples of persons who has very limited presence on Internet but has verified accounts. The person matters. Google is not very much conservative about the number, at least. They are really interested about making the points sure. But, if you need a named vanity url, you can use a named Page or a Local Business – these are fully legit if you really need it. Page verification is easier than profile. Local Business, Maps etceteras are important for doctors, lawyers, educational institutions. Wikipedia Page : Having a Wikipedia Page, possibly gives a weight for the person. But that page has been approved because the person is really mentionable. Take that, you have found some way to create a Wikipedia Page (I do not know if there any shortcut exists), that will give you two things – a special looking search result page for your name plus possibly the verified accounts. I have no Wikipedia Page about me or Never Have Received a Verified Email Like You But I am dying to Get a Special Looking Page in Search Result : Go for Google Page or Local Business. If still you can not achieve, then there are lot of peoples with your name. It is very much true for me – there are at least 5 Dr. Abhishek Ghosh. The problem gets intensified if multiple same named people are quite closer in contribution – its obvious, people who will verify will get confused plus it is bad to highlight one. Survival of the Fittest will take place. It will take more time. Published books with ISBN , ISSN numbers; specially when print version is/are available via good publishers adds a bit more plus points. Paying Google for some Services via Credit Card has very light is possibly a wrong idea to ‘bribe’. Number of followers never matters. Do not buy followers and waste money for this hope. Using Twitter Ads is not a way to get verified. There is no service exists (white hat) who can offer a verified profile service. Using same cell phone, own credit card, uniform email address; at least adds more security – this are good practices plus helps to verify the eligibles. Please do not use an image to fake a badge. It is really bad – there can be a same named important person, whom you never heard of. Most of the paid professional social networks has no verification thing – LinkedIn, deviantrt. None of these possibly used by (at least for the most) film stars, that avoids the rush of fan. Possibly the need of verification was for fan base at the beginning. Actually these Twitter, Facebook like Social Networks logically should ask for the Identity or provide a way to apply rather than making it a kind of guess based game – it is a problem for few important professionals. Google through Pages has shown that real utility of verification. Pinterest verifies all through domain. Cite this article as: Abhishek Ghosh, "Verified Profiles and Names in Social Networks : All the Mysteries," in The Customize Windows, August 14, 2013, April 21, 2019, https://thecustomizewindows.com/2013/08/verified-profiles-and-names-in-social-networks-all-the-mysteries/.